Proper helmet fit is vital to the performance of a helmet during an impact. For the helmet to perform properly during an impact, it must stay securely on the head. 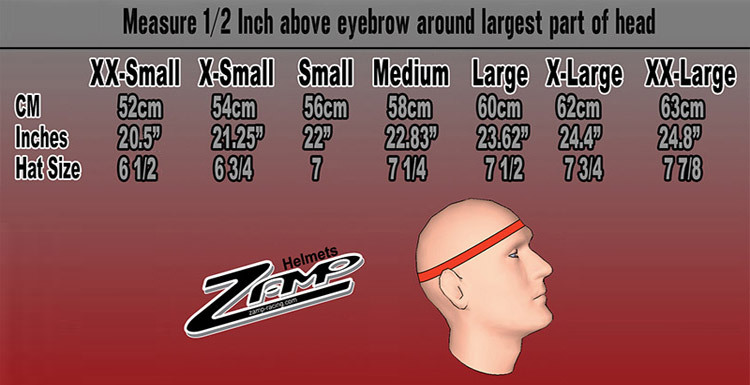 Due to varying shapes, heads that are apparently the same size when measured by a tape may not necessarily fit the same size helmet. A small metal tape measure or a cloth tape may be used to make your initial measurement. You can also use a string, which can then be laid against a measuring tape. Take several measurements. The largest measurement is the one you want to use.